Cloud computing platforms today help organizations to break-free from the outdated ‘manual processes’, boost the agility and reduce the cost per unit of the production process. With high cloud computing flexibility, along with reduced security threats, Amazon Web Services (AWS) has evolved to become a major player in the cloud services landscape. AWS offers its prolific cloud-based services through its diversified SaaS solutions, helping business to achieve their full potential. Today, different industries are leveraging AWS solutions to streamline their business in multiple areas—from big data analytics to the management of digital information. AWS helps companies promote innovation, streamline IT management, and increase responsiveness through real-time workload balance. The infrastructure from AWS is enabling many firms in effortlessly running their operations on the cloud—from big data projects, database management solutions, and disaster recovery tools to mobile apps. Further, the storage and content delivery options enable businesses to function smoothly with un-hindered flow of information. AWS has been maximizing client throughput by enhancing a firm’s cloud resource control, compliance, and security through optimized and cost-effective strategies. 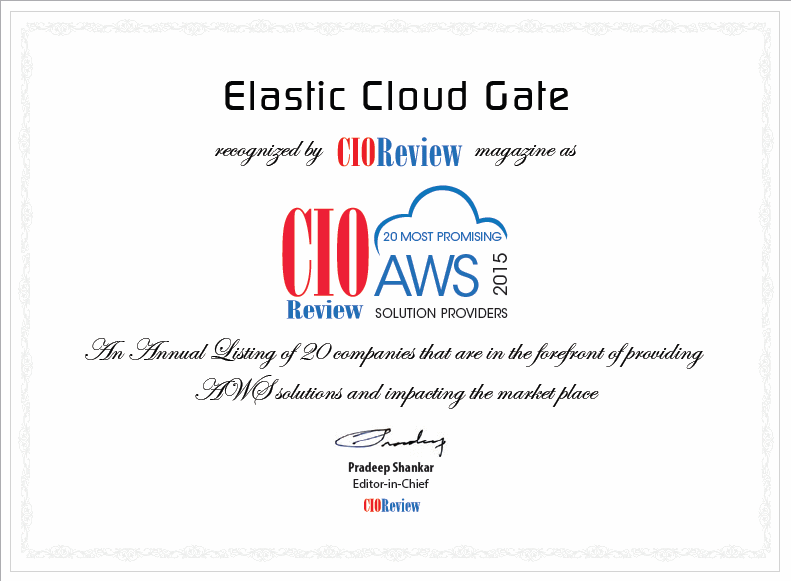 To help CIO’s find the right AWS solution, and the right strategy, a distinguished panel comprising of CEOs, CIOs, CMOs, VCs, analysts and the CIO Review editorial board has selected top players who have immense expertise in the AWS landscape. 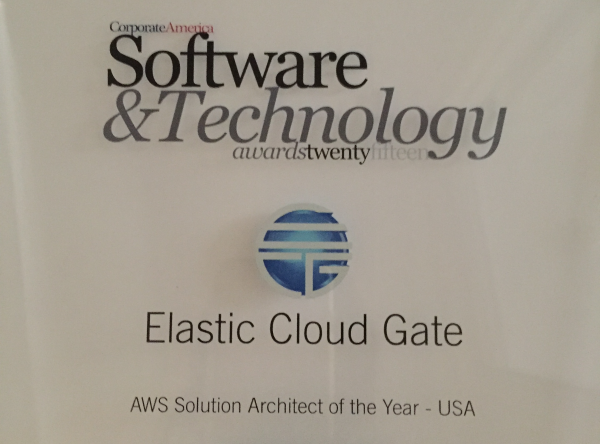 In our selection, we have looked at the vendor’s capability to fulfill the need for cost-effective and flexible AWS solutions. 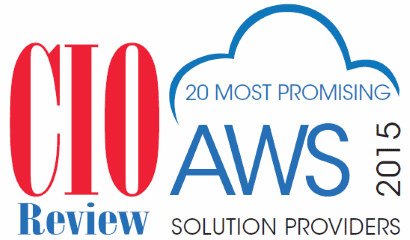 We present to you CIO Review’s 20 Most Promising AWS Solution Providers 2015.